Yesterday Google made a historic change in its business by creating a new standalone company known as Alphabet. FYI Sundar Pichai has replaced Larry Page for the post of CEO in Google while Larry Page will become the CEO of Alphabet. 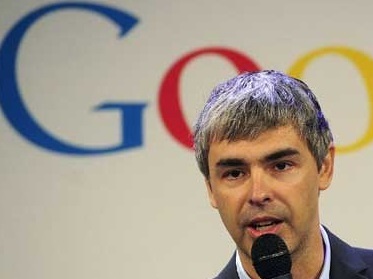 While Sundar Pichai will lead the Search Engine, advertisement, Android and Chrome domain in Google, Larry Page will lead the research based businesses like self driving cars, internet connectivity etc. in Alphabet. Now just as the entire world is looking forward the new endeavour of Google, things are not going as smooth as we thought to be. German Car manufacturer has already a company named Alphabet. They own a domain named alphabet.com for their company as well. So as far reports are concerned, the namesake is not willing to sell the domain to Google at all. Micaela Sandstede, a BMW spokeswoman in Munich, Germany, said that aplhabet.com is a vital part of their business and hence selling the domain is not an option for them. In a blog post, Larry Page, Google’s ex CEO and Alphabet’s current CEO, wrote that they have chosen the name very meaningfully. Since Google mainly aims to extend connectivity among people, hence they had to choose something which signifies something strong. According to him, alphabets are the most powerful innovation of mankind as they combined to give rise to language. Moreover Google’s searching index also depends solely on alphabets. Now we have to wait and watch to know what step will Google take. Will they succeed in convincing BMW to sell the Alphabet.com or will they be compelled to keep the domain name to something else?